Drinking is an integral part of getting through the winter. So is keeping warm. Why not kill two figurative birds with one metaphorical stone with the Mitten Flask? 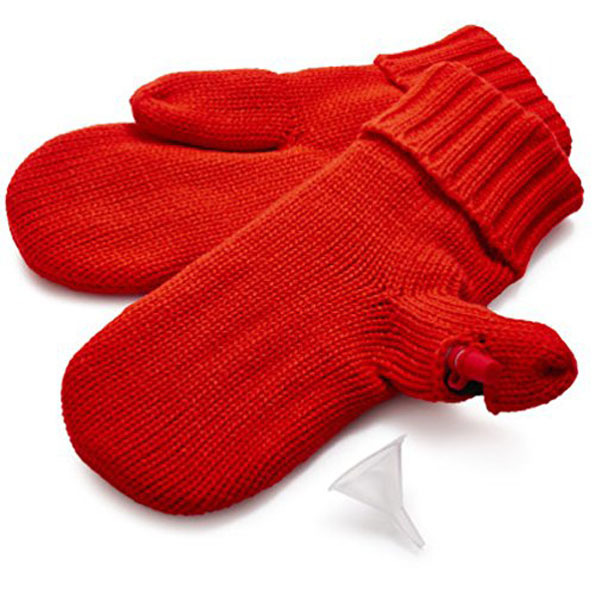 The classic mittens come with a 4 oz pouch hooked up to a bite valve in the thumb. It costs just $20 to get your hands on in a pair. Booze not included.